Inspired by the early electronic sounds of Detroit and Chicago, along with nascent German techno and the underground sounds of Belgian New Beat, Hi-Shock struck out on his own DJing career in 1988. Ever since — always striving to perfect his skills — he’s taken both vinyl-spinning and production work to the highest level. In recent years Hi-Shock has developed and helms the wildly successful Elektrax Music label group (which includes Elektrax Recordings, Gynoid Audio, Android Muziq, Darknet and Hypnotic Room). 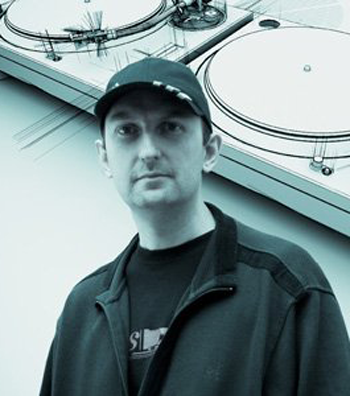 DJ Hi-Shock has also released his own sounds through other labels like Elektrax Recordings, Nachtstrom Schallplatten, Naked Lunch, Gynoid Audio, Darknet — along the way being charted and played by the likes of Tommy Four Seven, Luke Slater, Chris Liebing, Damon Wild and Dave Clarke amongst others. On top of these inroads, DJ Hi-Shock has remixed the likes of Ken Ishii, Gayle San, Chris Finke, Bas Mooy, Octave, Kai Randy Michel, DAVE The Drummer, BCR Boys or Ade Fenton, and furthermore performed alongside a wad of ultimate DJ/producers like Sven Väth, Kevin Saunderson, Oliver Lieb, Thomas P. Heckmann, Mijk van Dijk, Jammin’ Unit, Industrialyzer, and many more over the years. Currently the DJ Hi-Shock trademark sound is driving/underground Techno, with a fusion of pounding drums, stunning percussion riffs, darker vibes and hypnotizing rhythms.